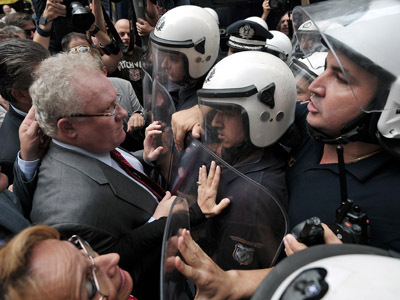 Exactly one year ago, the EU agreed to several extreme measures to combat the ongoing economic crisis, to mixed results. 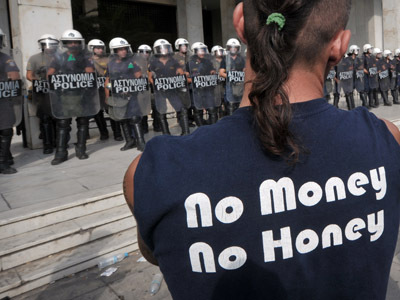 But despite its unique economic distress, Greece shows no sign of cutting back its considerable military budget. ­A year ago to the day, EU leaders met to tackle debt troubles that German Chancellor Angela Merkel described as Europe’s worst economic crisis since the end of WWII. 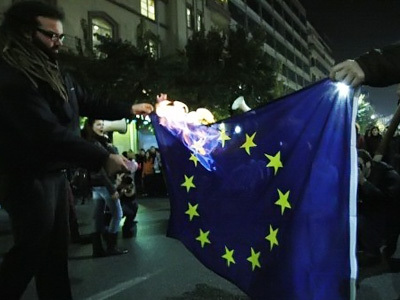 The EU spent a month negotiating the deal, which was proclaimed to have saved Greece by writing off half the country’s debt, which at the time amounted to 160 percent of its GDP. The second aim of the package was to protect other European countries from financial instability. 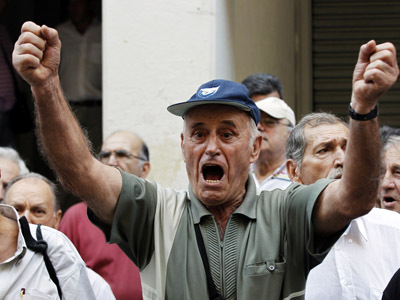 The EU decided to more than double the eurozone bailout fund, also known as the European Financial Stability Facility. A handful of nations expressed skepticism of the deal at the outset. Now, a year later, consensus has emerged that the eurozone crisis shows no sign of abating, and the financial and business climate across Europe has significantly worsened. But as the crisis worsens, some nations, like Greece, have chosen to spend more money on the military while simultaneously slashing social programs. ­Greece continues to be one of the world’s biggest arms importers, despite having little chance of meeting the deficit reduction targets pegged to its International Monetary Fund (IMF) bailout loan, according to a preliminary report by the organization’s debt inspectors. The IMF report will likely recommend more austerity in Greece, in addition to 89 other stalled reforms Athens has failed to enact. 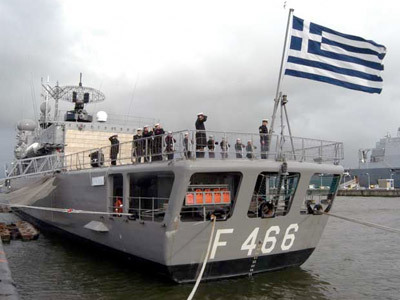 Despite the push for cuts in other spheres, the Greek government continues to spend a considerable portion of its budget on arms, amounting to 7 billion euros in 2011. From 2002 through 2006, Greece was the world's fourth-largest importer of weapons. Despite the country’s ongoing debt crisis, it remains the tenth-largest military importer. As a proportion of its GDP, Greek defense spending is nearly double that of any other EU member. The country also has a less-than-transparent procurement process and a reputation for budgetary corruption, RT's Peter Oliver reports. 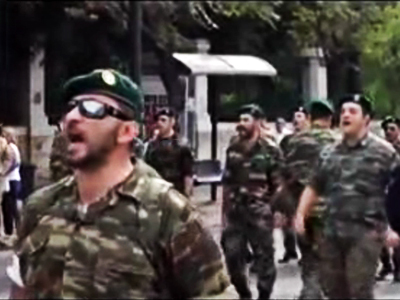 Long-running tensions between Greece and Turkey are believed to be the main reason behind Athens’ high levels of military spending. Following Turkey’s 1974 invasion of Cyprus, Greece has spent an estimated 216 billion euros on arms. 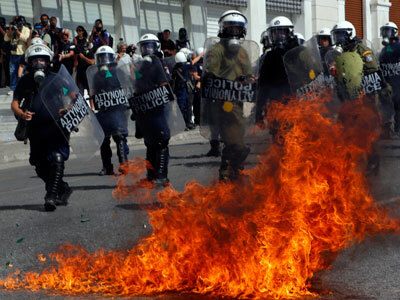 “Greece still considers that it is facing a threat from Turkey. And that we need to maintain credible military forces to deter that threat,” Thanos Dokos, the Director-General of the Hellenic Foundation for European & Foreign Policy told RT. Germany, one of Greece’s main creditors in the IMF bailout and a leading voice for eurozone austerity, is also one of Athens’ biggest arms suppliers. Greek military imports account for some 15 percent of Berlin's arms exports. “In my point of view there's no justification that Greece continues to spend so heavily on military equipment. But of course it is export earnings for Germany, there are NATO interests there, so it's just being done and it's not being talked about too much,” political and economic analyst Maz Otte explained to RT. “Once in a while it pops up, but German politicians aren't really questioning it,” he added. With Greece plunging further into dire economic conditions, some have leveled charges of hypocrisy at Germany’s dual role as arms supplier and austerity advocate for Athens. 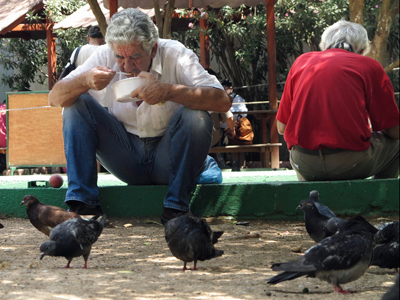 “For [Berlin], social spending cutting is the first thing that comes to their minds. Whereas to me as a Green, the first priority would be making cuts to the defense sector,” Franziska Brantner, German MEP from the Green Party said. 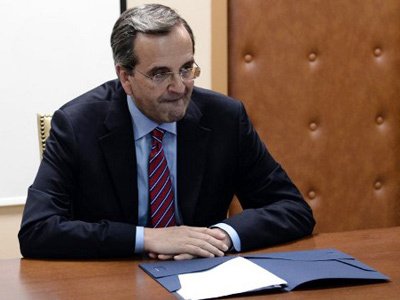 With former Greek defense minister Apostolos Tsochatzopoulos in custody for charges of fraud and embezzlement, the country’s high military budget will likely remain a contentious issue. 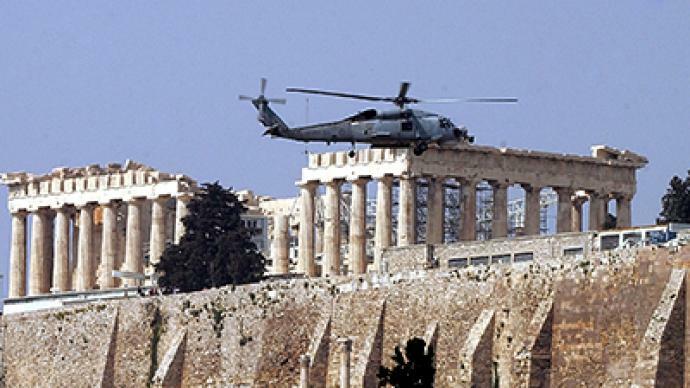 Economists estimate that if Greece had cut defense spending over the past decade to levels comparable to other EU nations, it would have saved some 150 billion euros – more than its last IMF bailout.